Accomplished professional with over 20 years experience in strategic planning, project management, and business analysis. Specific expertise in operational process improvements, training, and event registration. Strong proficiency to analyze data and create meaningful recommendations to improve operational performance. Ten years experience in technical project management, business analysis and vendor management. 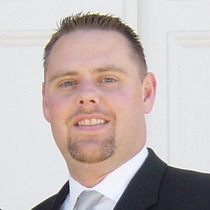 Nine years experience in customer loyalty management, inside sales, call center training, and agent development. 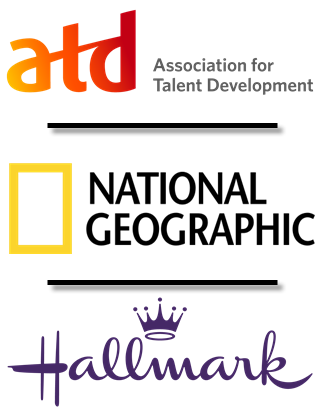 Create and expand the ATD project portfolio by leading teams to successfully plan and execute each project. Manage major relationships and participate in contract negotiations with external vendors to support technical projects. Serve as supervisor and mentor to all project managers within the department. Responsible for the analysis, evaluation, and documentation of requirements for the association's business processes and technology projects. Ensured that a central location exists for each IT project and that a minimal set of documentation for each project is maintained. Created and facilitated training for team members to manage project documentation. Worked with application developers and stakeholders to create and execute user testing on business solutions. Directed the registration planning and process for over 200 ATD events including professional development programs as well as ATD’s conferences & expositions which accounted for 42% of ATD's $25.3 million gross revenue in 2009. Developed and facilitated registration training for employees and contractors covering Personify (ATD's database) and Experient’s Reg.net (onsite vendor database). Responsible for all aspects of the conference attendee services covering registration, cyber centers, wireless services, information kiosks, and other special attendee programming. Managed the selection and contract negotiation of conference support logistics including temporary staffing, computer, equipment, internet, and telephony requirements. Coordinated the conference volunteer program that requited 437 volunteers to support an attendance of nearly 9,000 individuals. Implemented several major IT resources including new VoIP (Voice Over Internet Protocol) phone system and helpdesk ticketing software (Parature) serving over 100 users. Served on project management team that simultaneously deployed 4 major association initiatives including upgrading our association management system, content website, e-commerce website, and single sign-on technology. These projects were budgeted at over 2 million dollars to serve the society's more than 44,000 members and over 600,000 unique site visitors. Acted as liaison between the ATD Conference Programming Manager and the vendor, a2z, to maintain and improve conference management software. Created new online registration sites for targeted segments of our conference attendees that eliminated the need to transfer registration data between systems, increased overall traffic, and improved attendee satisfaction. Improved conference registration process by adding several enhancements including self-registration kiosks for the career center, scan-and-go purchase options for special events, and automating translation device handling all of which contributed consistently receiving over a 90% customer satisfaction rating for registration. Stabilized the customer care center as it was brought back in-house to ATD by formalizing training as well as building and documenting processes. Supervised the daily operations of a six-member team, resolving customer inquiries, recommending process improvements and increasing member satisfaction. Improved contact resolution timeframes by 30%, through training, coaching and partnership programs with internal departments. Assumed responsibility for the entire registration process for ATD Conferences that average between 8,000 - 10,000 attendees. Served as a liaison between major retailers and wholesalers to optimize the promotion and distribution of all four National Geographic magazine titles. Prepared and analyzed multiple reports including sales projections, Audit Bureau of Circulation (ABC) sales estimates, and display promotion program analysis. Reviewed current retailer distribution and identified key opportunities to maximize acquisition of new retailers. Participated in the startup of the Hallmark Flowers core business where I supervised the outsourced contact center operations for sales and service related issues. Managed the day-to-day online trafficking and reporting information needed to implement all Hallmark Flowers advertising with two major contracts in excess of $1.4 million. Compiled reporting data from multiple sources to identify trends and analyze campaign performance. Developed and maintained a marketing tactic calendar to provide timely information to all operations partners on marketing activities. Created pacing forecasts for annually contracted advertising agreements with Yahoo and MSN which established planned performance metrics for these advertising placements. Developed and executed assigned contact center functions such as training, quality, systems (order capture, contact tracking, customer service), and service level management in order to deliver an outstanding customer experience. Analyzed existing product offerings by evaluating conversion rates, non-order reasons, sales patterns, and customer service results. Facilitated the initial testing and ultimate implementation of a wire service program to the Hallmark Flowers core business. Managed direct reports including the temporary seasonal staffing of an internal wire service call center. Assisted with the requirements gathering, development, cycle-zero testing, and constant improvements of both the Order Entry and Order Management systems. Reviewed agent performance and identified training recommendations in an effort to improve the quality of service offered by the sales and service representatives. Wrote, edited, and published customer service policies, procedures, and product/program information online. Developed and facilitated initial sales training. Exceeded 1998 sales objective, ranking in the top quarter of our sales force at 154.36%. Analyzed new software proposal and made recommendations for implementation by the HBE business unit. Served as one of six team representatives with our Corporate Account Sales Consultants to target, acquire and grow major account relationships. Serviced retailers and the field organization by anticipating future needs through a commitment to value added service. Independently researched and resolved retailer and field issues with efficiency and accuracy achieving a year-end call quality score of 99.79%. Created and facilitated computer shortcut training sessions for new and current team members. 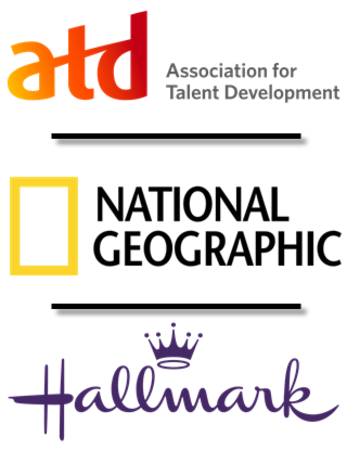 Established in 1994, The President's Award recognizes ATD employees who distinguish themselves with outstanding performance as well as their dedication to the organization and its members. I received this award in 2014, 2012, 2011, 2010, and 2006. Currently leading the project team to implement a new Learning Management System (LMS) to support the management and delivery of place-based, live online, and on-demand online education programs. While instructor-led training has traditionally been ATD’s core competency, our expansion into synchronous web-based training in recent years has been very successful, as has the incorporation of social learning tools to support a more “blended” approach to its workshops. A key goal moving forward is to add asynchronous online training to the mix as we continue to grow our education business in the United States and internationally. Led the project team that implemented a new Learning Management System (LMS) to support the management and delivery of place-based, live online, and on-demand online education programs. ATD’s education website was redesigned with powerful search capabilities that make finding the right professional development program much easier. 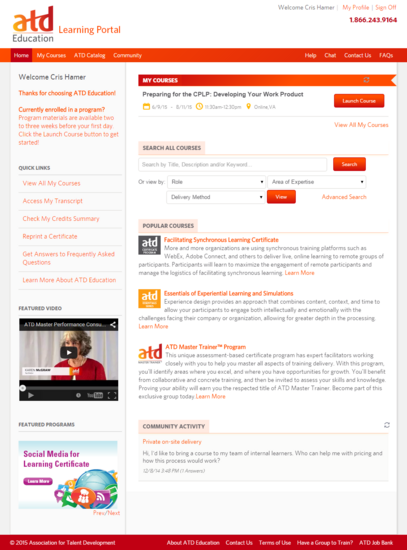 The ATD Education website was redesigned and launched in August 2013. The new site has significantly improved navigation and search features. With new more powerful search capabilities we are now able connect learners the right professional development program. ATD delivered 684 education courses to more than 12,600 participants.